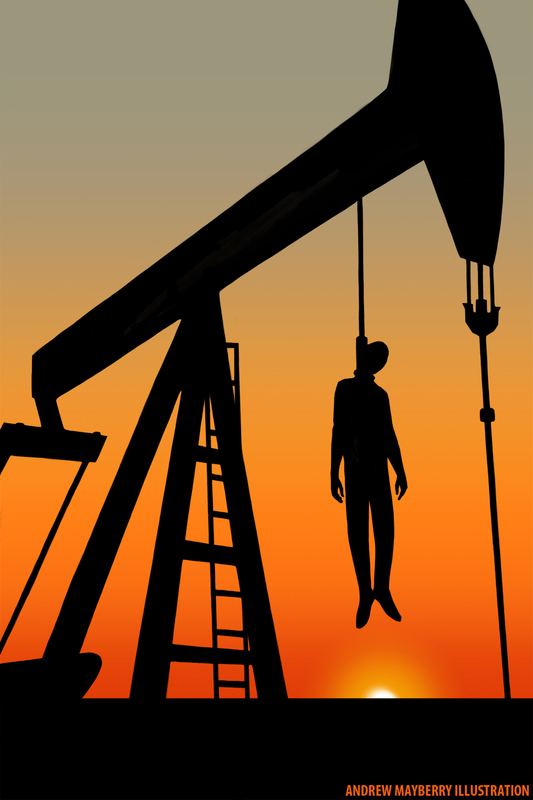 This poster “The Last Drop” was created to show the dark side of the current economic situation in western Canada, in 2015, the oil rich province of Alberta, Canada, saw a spike in suicide rates while the energy sector saw a big economic downturn and mass layoffs occurred. Although there are a number of factors that can lead to suicide, unemployment and a slowing economy definitely play a critical role in the mental health of the citizens, the poster contributes to the theme by directly relating suicide to the economy. “I believe posters are a very powerful tool to inspire thoughts and ideas that one may not normally think of without the visual reference. It is a way to help your mind interpret complex situations or ideas into simplistic metaphors.” says Andrew. If you would like to learn more from Andrew Mayberry and his work visit his web page.